To spotlight our newest case study on WW Norton’s Introduction to Sociology textbook, we also want to take a moment to look back on another highlight in our on-going partnership with the publishing house. In late 2010, Kiss Me I’m Polish designed a suite of 27 information graphics for the eighth edition of We The People: An Introduction to American Politics. 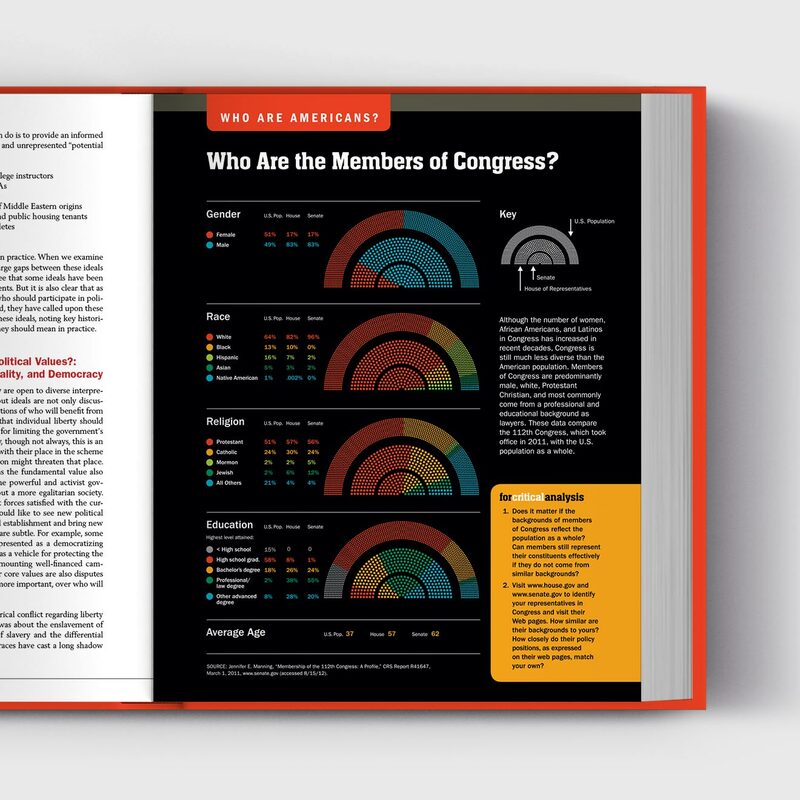 The colorful diagrams comprise the “Who Are Americans?” unit of the book recurring in each chapter, and provide a range of statistical snapshots of our nation’s political underpinnings – focusing on topics such as health care reform, voting patterns, presidential approval, equal rights for women, to name a few. Get an in-depth look here.